Two years ago, I sat with one of the Deans at USC as she cried about the scandal with the School of Medicine, the President, and the physician who abused all of those young women. For people who have devoted their lives to students and building a world-class university, the impact of these events is devastating. We did a great of work with media and entertainment. But, I responded, “Universities.” Higher education has shocking chaste systems that can perpetuate extreme delusions of power or powerlessness. Also, they thrive on lack of transparency and secrets. For example, I’ve worked with universities that have upwards of 20 separate human resource departments. Take a moment to let that sink in. What happened yesterday is a very good thing. Higher education is facing far bigger challenges than corruption in the admissions system. As high-quality education emerges on the Internet without charge, branded universities will have to offer a whole new form of value. I believe the only way higher education as we have known it can survive is to develop full transparency. 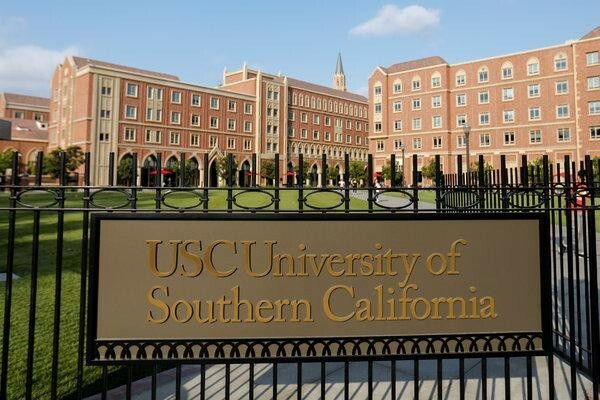 When I studied at USC, we were in awe of all that potentially existed behind the doors. Now, we have 44,000 reporters roaming the campus every single day. Yes, it is time to wake-up. Clear out the secrets, throw open the doors and live with absolutely nothing to hide.